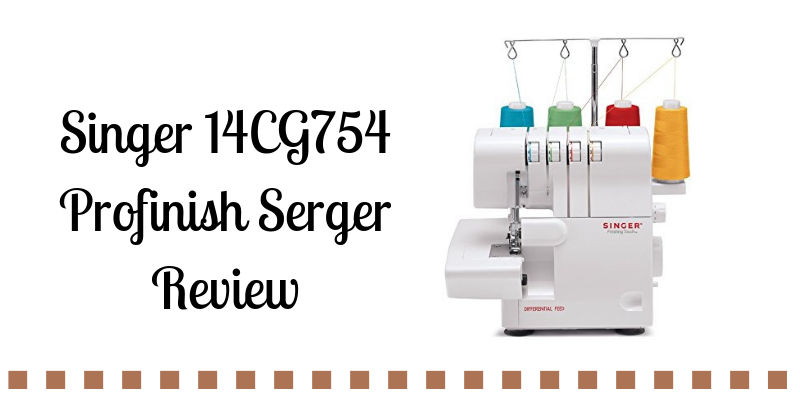 Singer 14CG754 Profinish Serger Review - Is This Machine Any Good? Sewing is a passion admired by millions in the world. Right? However, sewing is not a one-dimensional thing. It has multiple features and tons of facets to uncover. One of them is serging. Mark the point, serging is not the replacement of sewing; it is just an extended feature of sewing. Sewers with a sense of perfection always want to give an ideal finishing touch to their fabric. For this reason, many users turn to the Singer Profinish 14CG754. However, is it the right choice? You can surely decide with our in-depth Profinish review! 1 What Does It Look Like? Well, it is a small-sized serging machine with the capacity of 4 built-in rolled hems. About four different threads can be placed on the bar simultaneously. It is a white colored, well-designed machine that hardly weighs more than an oven. The structure it possesses is undoubtedly stylish. The body is smartly structured by high-class engineers. It weighs up to 13.5 pounds. Furthermore, It provides an adjustable tension in the midst of the front side. If you are having a variety of fabrics to serge, you can always alter the thread-material by adjusting the tension. Since it accommodates 2-3-4 thread capacity, you can switch the thread any time. All four of the thread hems are attached, and the alteration can be controlled via adjustable tension. The strings on the strand are supporting the hems. At the back, there’s one knob that allows changeable length and width of stitches. You can either upscale or downscale length and width simultaneously, or one at a time. It has a work area right below the top. There’s an arm appearing from one side, right above the work area. This determines the space-limit for the work area. The concise body of this serging machine does not occupy an entire table. In fact, it seems as spacious as a lamp. Lightbulb: 120 Volts and 15 watts. Warranty: 25 years of warranty. Now, let’s look at the features of the Singer Profinish in a little depth. 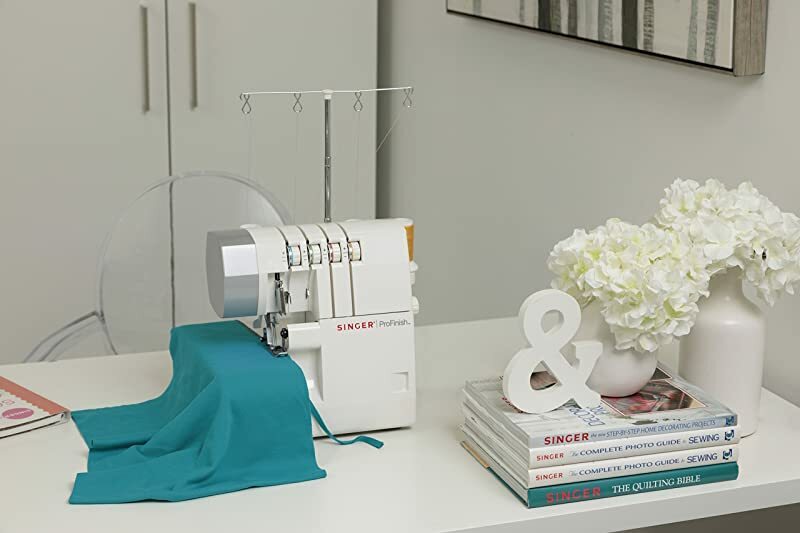 The Singer Profinish serger provides a number of ways to embellish the fabric. The fabric might be of any sort, to list — decorative or plain, thick or lean. You can give your fabric elaborations of any kind with the help of this serging machine, Nevertheless. To begin with, The built-in 2-3-4 threader allows it to do multiple kinds of serging. Although serging is an extended feature of stitching, it in itself is not one-dimensional. There’s a wide range of serging. You can do it in six different ways as the machine allows six sorts of stitches. Besides, There’s a wide variety of hems offered by this particular product. Blind Hems, Rolled Hems, and Flatlocking Hems are on the list. You can switch the hems according to your need or requirement of the fabric. Simultaneously, It provides four thread mock stretch stitch for knitted fabrics. It extends three thread overlock stitch for decorative fabrics. Two thread overlock is available to give a fine finishing of the seam. Subsequently, flatlock stitch adds architectural ornamentations. Above all, It can get 1300 stitches done in sixty seconds. It saves quite a lot of time, in like manner. 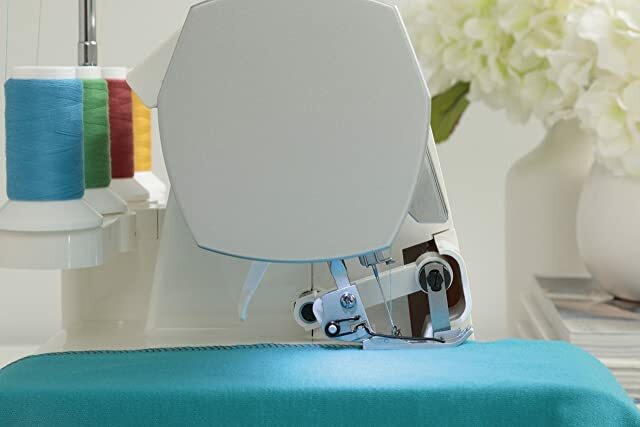 In fact, the machine falls among the fastest sewing and serging products. This feature adds great value to the product, indeed. The needle to mark hundreds of stitches every second is strongly manufactured for this detail-oriented work. To give a thorough finish to the fabric, you can save it from getting trimmed. Move the knife upwards in the meantime when stitching-as-per-the-need is done. To avoid puckering, adjust the feed either way. In brief, It is adjustable to a reasonable extent. As a result, you can save your fabric from getting screwed up. 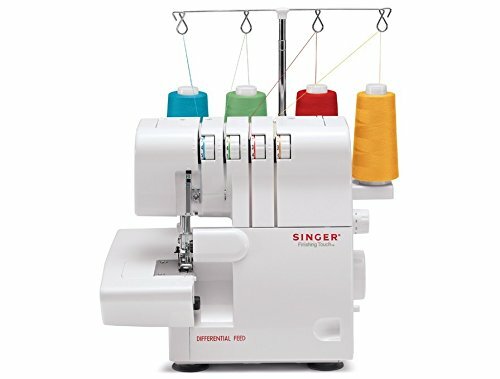 In addition, this Singer serger offers color-coded threading. If you want your fabric to have a color-coded layout, you can rely on the diagram printed on the machine. Follow the instructions given there to get the desired results. In like fashion, it offers extra-high presser foot lifter. You can lift it up with the help of it. The manufacturers have inserted LED light bulb to equip the sewer with resources required for diligent work. Granted that the work area can lighten up to notice tiny details of the fabric. There’s a built-in handle that helps you carry it whenever needed. 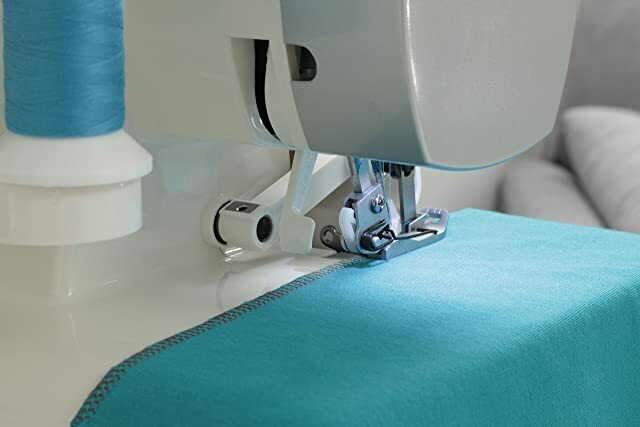 In the second place, you can carry along your serger to sewing class with sheer ease. It is lightweight and doesn’t bother much, certainly. It tends to join the fabric with a seam. The fabric with unstitched and rough borders gets finished with a serger. 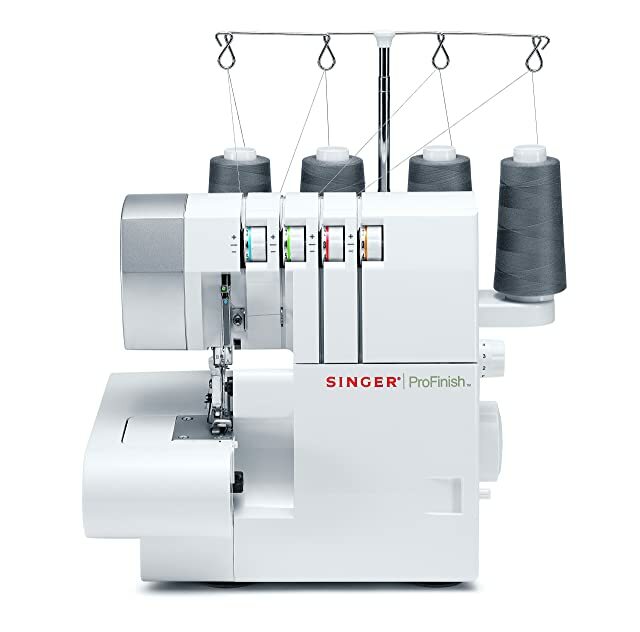 The stitches of Singer Profinish serger are broader than that of an ordinary sewing machine. The zig-zag stitches of this serging machine stand out. The weight is not bothersome. It has a super-cool body with adjustable features. Color-coded threading gives a perfect touch of embellishment. From a lightweight seam finish to a much heavy seam finish, all is possible because the width of the fabric can be changed. One can do serges of any length on the fabric. Depends on you how large or small you want it. Embodies different styles of stitches. Acquires less space in the room. You can use Instruction guide to get a smooth start. Does not possess any automated/computerized systems. To avoid rucking-up of the fabric one needs detailed attention. Little to no work area for quantitative projects. Requires rethreading after every while. The suction cups are not that strong to make it stick to one place. The machine keeps shaking while working. There’s an apprehension that it may fluctuate in the beginning. There are no audio/video instructions for a better understanding of the product. A lot of users fumble because of the minimal sources to guide them. Beginners cannot make the most of it. Singer is one of the oldest brands in the stitching world. Ever since they started their journey in 1851, they have ensured to secure a firm position in the sewing industry. Furthermore, They have earned the trust of people. They have maintained millions of customers in and around the world, with perfections and flaws of their service. In addition, Singer guarantees 25 years of durability on this particular product. In other words, if you catch any technical faults during this time period, the company is likely to fix them all. The users can hold the company accountable for any complications in a span of 25 years. Given the popularity of Singer machines, you’ll surely find it in local stores. Meanwhile, you can simply order it online from leading stores like Amazon. 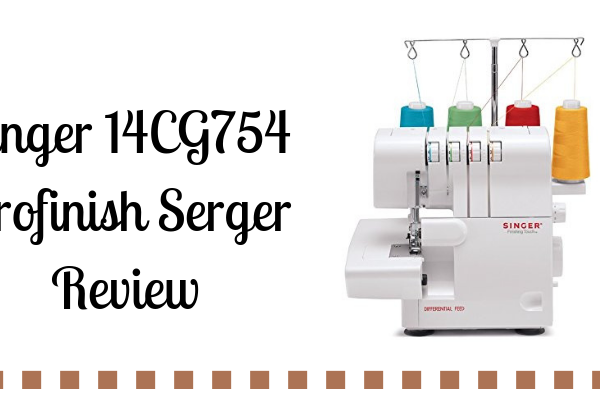 Thus, we deduce that the buyers have a number of good reasons to be considerate of Singer Profinish Serger. With several merits and a few demerits, it is worth trying a hand at. Those who love their material with a seaming finish are recommended to buy it. It would serve them a handful of purposes. Meanwhile, With different adjustability options, it is least likely to disappoint buyers. Potential buyers ought to go through the entire review above to comprehend its advantages. Our readers are recommended to make a decision after a thorough inspection of the product.